The diamond has a "GIA Diamond Dossier". 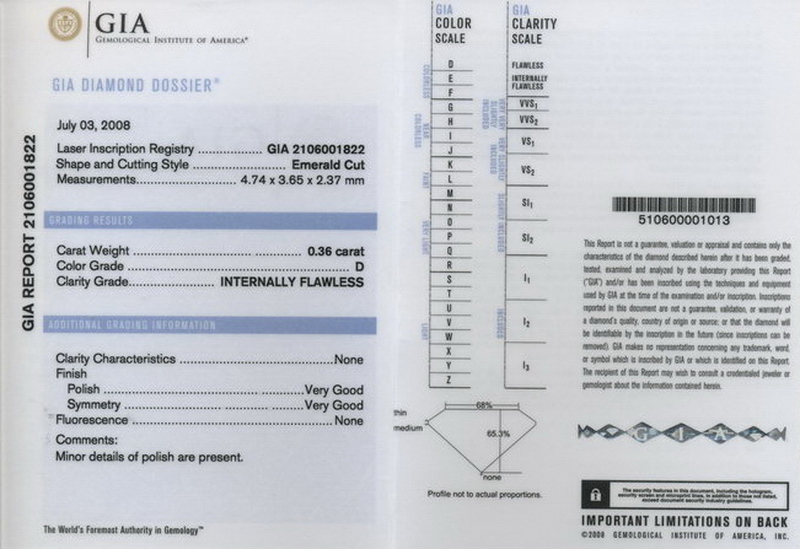 This type of GIA report includes a microscopic laser inscription on the diamond. Are you looking for perfection? Here's a diamond for you. The GIA color grading scale starts at "D". That's a diamond with no perceptible color whatsoever. This diamond is a "D" color- totally colorless. If you know our stuff, you know that I really don't care what color a diamond is- I find all colors to be pretty- IF they are well cut. It's an affordable D IF diamond by virtue of it's diminutive size. But if you own it, you will love like it was 10 carats. I love the look of Intense Yellow next to D color. We've used some amazing looking trapezoids. 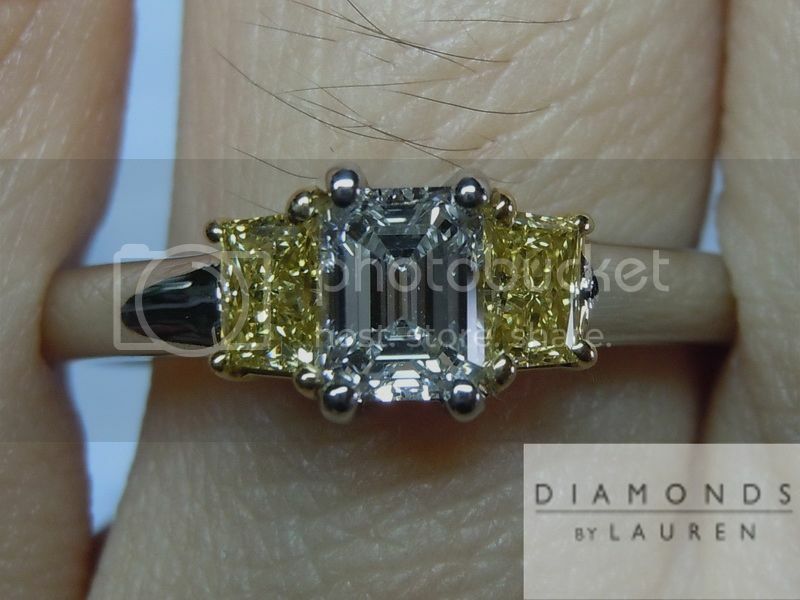 Being that we buy so many natural yellow diamonds, we have strong connections with cutters of yellow diamonds. 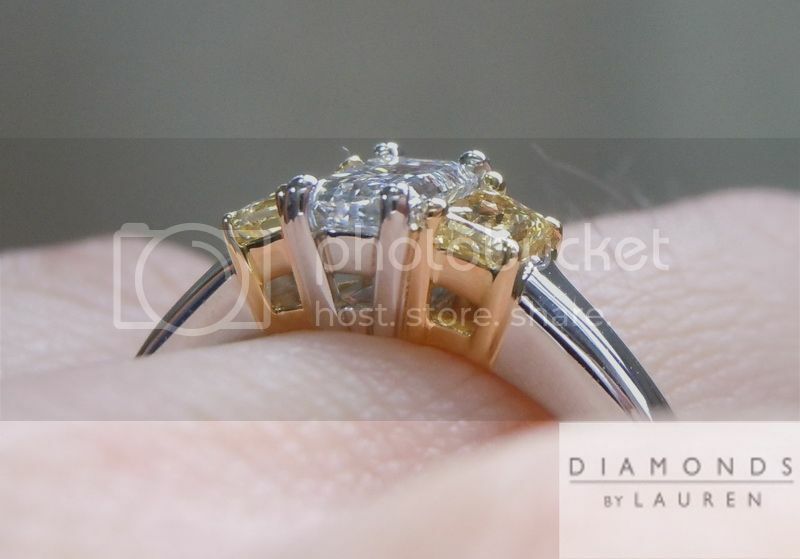 The ring is totally custom made, in platinum and 18kt yellow gold. 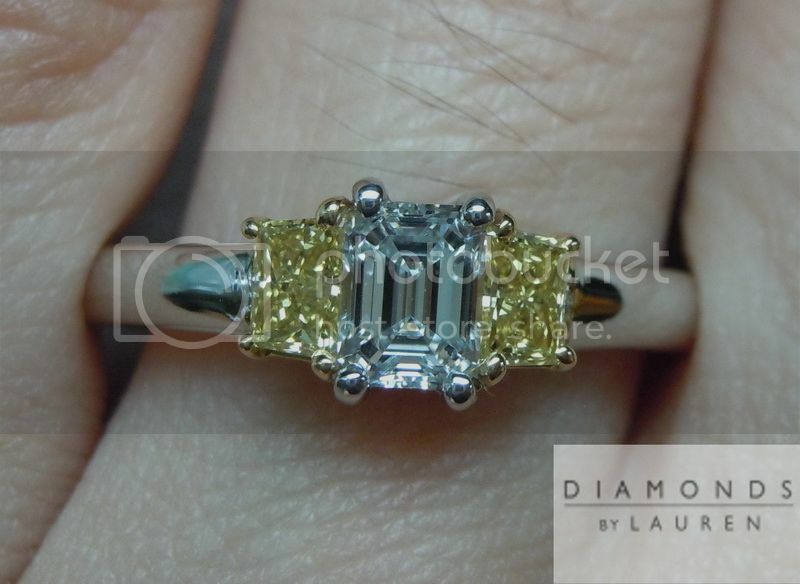 Although it's a relatively small carat weight- the visual impact is great.